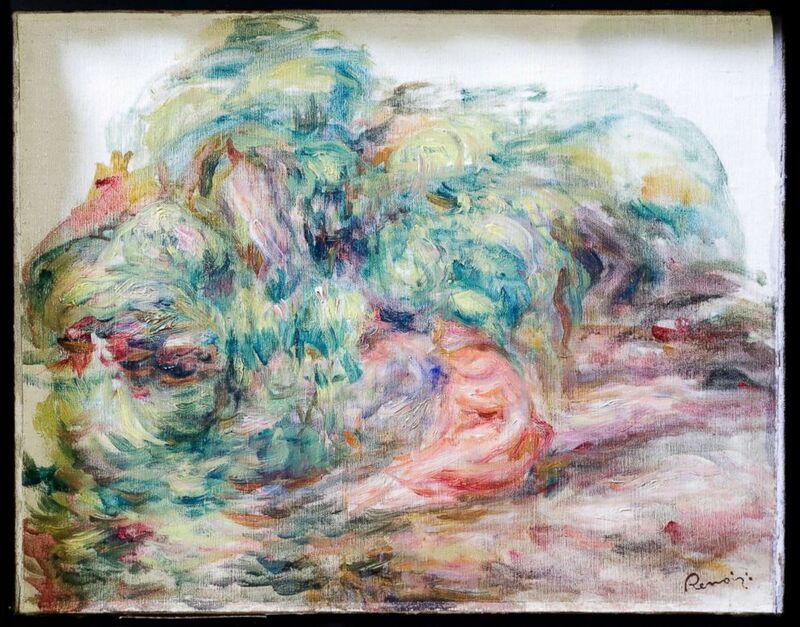 Federal authorities returned a Renoir looted by the Nazis during World War II to the heir of its rightful owner on Wednesday. Pierre-August Renoir painted "Deux Femmes Dans Un Jardin" in 1919, the last year of his life as he suffered the painful effects of arthritis. "Deux Femmes" belonged to a prominent collector in pre-war Paris, Alfred Weinberger, authorities said, but was stolen by the Nazis from a bank vault in Paris in 1941. A Renoir painting "Femmes Dans Un Jardin" is displayed at a news conference, Sept. 12, 2018, in New York. Three-quarters of a century later, Weinberger's last surviving heir, Sylvie Sulitzer, received the work at the Museum of Jewish Heritage in New York, the first time she had ever seen it in person. "My family left Paris to escape the Gestapo," Sulitzer said during a press conference at the museum Wednesday. "I’m very thankful to be able to show my beloved family, wherever they are, that after all they’ve been through, there is justice." Weinberger fled Paris during the occupation and, upon his return, filed a claim to the Renoir painting. It resurfaced in Johannesburg in 1975, was sold in London in 1977 and then appeared for sale in Zurich in 1999. Sulitzer learned of its whereabouts in 2013 when it was put up for auction at Christie’s in New York. Christie’s alerted the FBI and the owner of the painting voluntarily agreed to relinquish it, authorities said. "The extraordinary journey this work of art has made around the globe ends today," said Bill Sweeney, assistant director-in-charge of the FBI’s New York field office. Geoffrey Berman, U.S. attorney for the Southern District in New York, said Wednesday's event that it is about more than just a painting. “Today, as we celebrate the just return of this painting to its rightful owner, we also remember the uniqueness of the Holocaust and reaffirm our commitment to ensure that the words 'never forget, never again' never ring hollow," said Geoffrey Berman, U.S. attorney for the Southern District in New York.